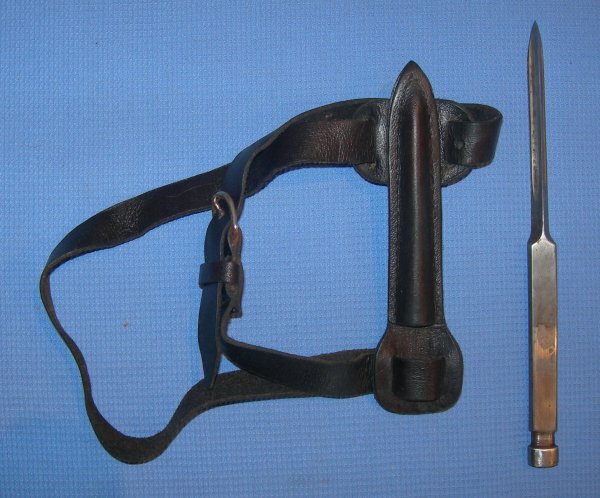 A very rare WW2 British commando's concealed dagger, with leg sheath and straps. By repute, the concealed dagger issued to Sergeant Kenneth Alec John Scott (Distinguished Conduct Medal) after his release at the end of WW2 (his original daggers having been confiscated by the Gestapo). 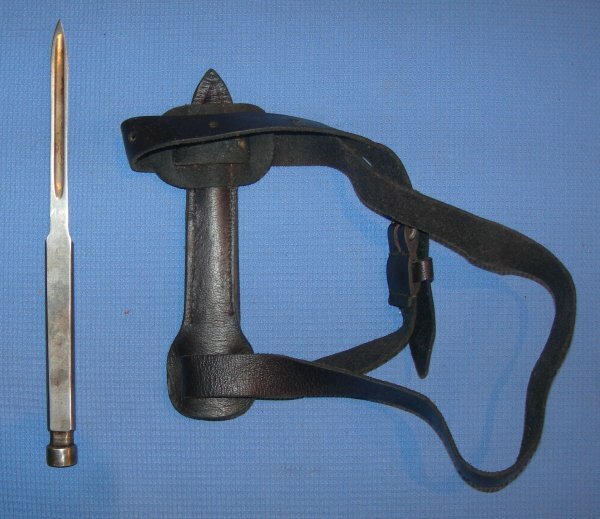 This is an especially rare commando dagger which was strapped to the leg (in this case) so that if captured hopefully the dagger would be missed and the commando could use it to escape. These knives were also used as concealed assassination daggers. Being sold separately are his Fairbairn-Sykes commando knife (with assorted paperwork relating to Sergeant Scott and a WW2 silk commando map of South Eastern Europe - Click Here), and his Webley MK4 .38 revolver (Click Here). The knife is 7 inches long with the blade section 3.5 inches. The knife has some staining but is in good order. 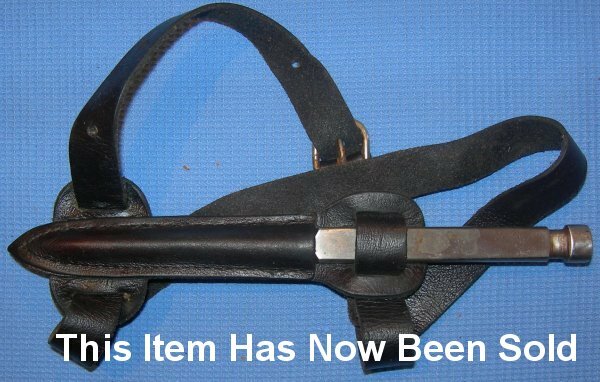 The leather sheath and belts are aged, having clearly been worn. Such a rare item, so well worth the price tag. Full sized photos available upon request. My item reference number is 846a - Tube 14.